My lovely Soom Smoky Day Gena BJD came with beautiful default blue eyes, which have a lot of depth on their own. However, there was just something about them that didn't 'call' to me. She's lovely with them, but I wanted something a little different. I search eBay a lot (more than I should), but never found any set of eyes that I thought were an improvement to what Soom provided. Everything looked so... ordinary. On a whim, I did a search on Etsy for BJD eyes. I stumbled across a UK seller who hand makes gorgeous eyes, and made them in the right size for my Gena, 18mm. The shop is named CandyKittensEmporium. She has several eye colors she makes as her "standard". The one I finally settled on after much debate is named Briar Rose. I chose these because it has the blue tones that look so good on Smoky Day Gena, with a bit more depth with flecks of red and deeer blues added. For just $11.99 plus a few dollars for shipping, I am thrilled with my purchase. Because she makes them by hand you have to be patient. It took roughly two and a half weeks for me to get mine, about a week for shipping time because she had to ship to me in the United States from the UK. These eyes were totally worth the wait! My camera is not doing these eyes justice. As she is sitting on her shelf now, those eyes are catching all the different lights that come into the room. Where the Soom eyes are lovely, these new eyes truly have depth. The wig Gena is in is new, and purchased because of all the blues. The new eyes make this new wig even lovlier on her. With her snow white skin, she has an ethereal quality now, even in her currently modern clothing. I am very happy with this purchase, especially the friendly customer service. I have several other of her standard colors on my 'watch' list, but she also offers customized eyes, too. If I was in the market for creating a specific character, I would definitely turn to CandyKittensEmporium for the eyes! The eyes I received are flat, but the next set I purchase I may request they be domed, since she offers both. The flat eyes took me just a little fussing to get in place so they looked right. Now that they are in, I think they're perfect! 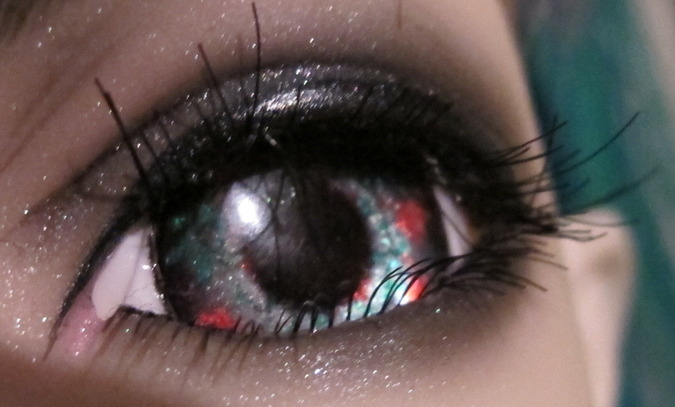 I highly recommend this Etsy seller for one of a kind BJD eyes. They are definitely worth the wait! Older PostFun Effect To Play With... And It's Free!